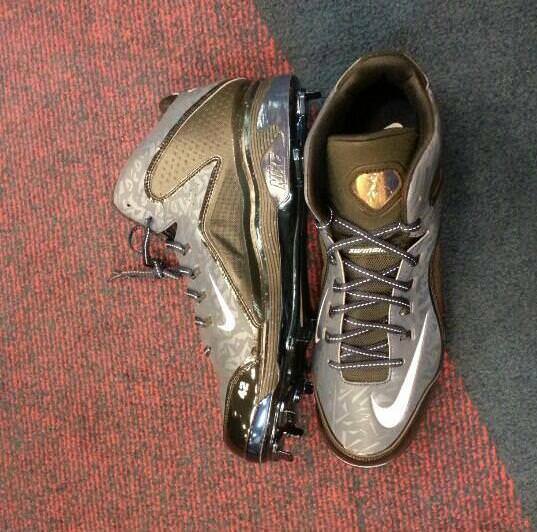 We are told these are the Nike Swingman MVP 2 3/4. Though these are unavailable online, you can find the Swingman MVP 2s here in several solid colorways. 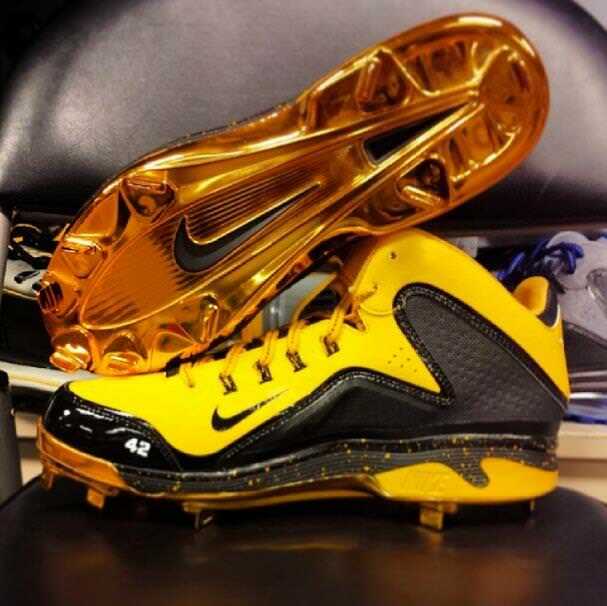 Hope to have more Jackie Robinson commemorative cleats coming through as the day rolls on.